Almost all invasive procedures involve a risk for side effects. 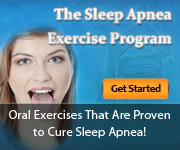 The same goes for nasal surgeries such as rhinoplasty and septoplasty which are both done to help treat sleep apnea. Many patients looking for more permanent treatments and those who have not had success with other remedies often opt for nasal surgery. Many also want to know what the possible side effects of such procedures could be. Septal Perforation– With septoplasty it is possible for the septum to incur damage during the procedure in the form of a tear or hole. The tear or hole can result in whistling sounds while breathing, bleeding and crusting of the area. In more severe cases where the damage is large it may alter the structure of the nose and its appearance. Nasal Problems-During the recovery period it can be normal to experience a variety of problems with the nose. These will include swelling in the nose and surrounding areas, bleeding and a loss of sensation in the upper teeth or at the tip of the nose. In cases where there is a large amount of bleeding a hematoma may form near the septum. In such cases the hematoma will need draining within 24 hours to prevent it from affecting the shape of the nose. Difficulty Breathing– In some cases, rather than alleviate breathing problems, these may worsen after nasal surgery. Difficulty with breathing can be brought about by different causes. One of these is septal perforation. As a result of the hole in the septum patients may have difficulty breathing through the nose. Another is excessive scarring. During the recovery process tissues inside the nose may become thick and create a blockage as a result of scars. Bruising and Swelling– it is common for doctors to cut through nasal bones as they restructure it. The process may bring about a beating in the area resulting in swelling in the nose region as well as bruising by the nose and around the eyes. Congestion and Discharge– For the first few days after surgery it is normal to experience bleeding as well as have bloody discharge. Nasal congestion can also occur for the first two weeks or so until breathing returns to normal. Pain, Fatigue and Limited Movement– As a result of the restructuring and surgery it is normal to feel pain in the area during recovery. Many patients also experience fatigue during recovery. Doctors recommend avoiding strenuous activities until the area is completely healed so movement may be limited.